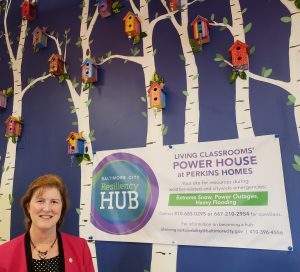 The POWER House is the first solar powered, community-based resiliency hub in the nation. 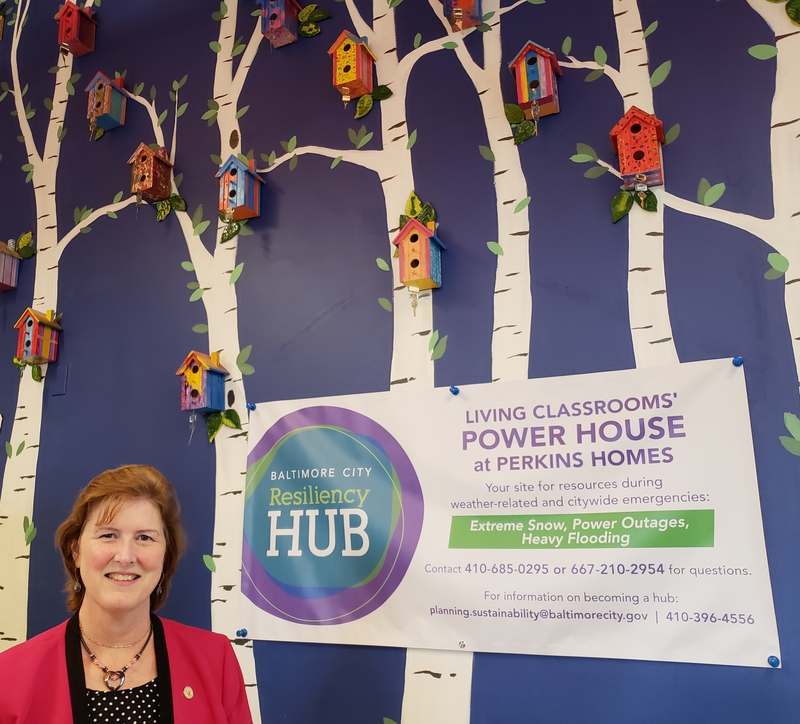 Powerhouse is one of three community resiliency hubs in the city that Power 52 has helped to create with the support of a $250,000 grant from the Maryland Energy Administration. The two other resiliency hubs are located at the UA House is on East Fayette Street and the Patterson Park Youth Sports and Education Center is on Linwood Ave in Baltimore. 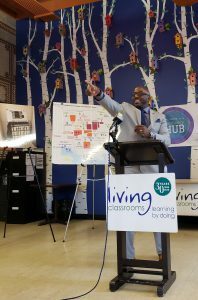 The Living Classroom Foundation manages all of the community centers that can now function off-the-grid in times of a power outage. 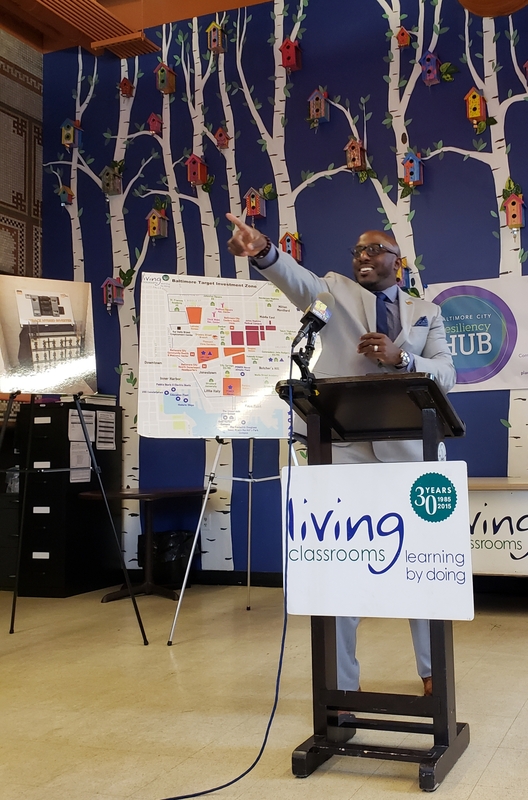 Living Classrooms serves public housing communities within the Baltimore Target Investment Zone (TIZ) – a 2.5 sq. mi. area in East Baltimore that encompasses some of Baltimore’s most disadvantaged areas, whose residents are commonly at the highest risk during emergencies. Community-Based Resiliency Hub: provide an immediate resource and assist residents in the recovery from (1) natural emergency events such as high heat, flooding, hurricanes, coastal storms, earthquakes and high wind conditions, (2) man-made disasters such as fires, explosions, or uprisings, or (3) large-scale service outages. Each hub provides access to electricity, fresh food, water, radios, two-way radios, charging stations, snow shovels, blowers, etc. Each one of these resiliency hubs has solar photovoltaic system incorporated along with an electric battery storage system. 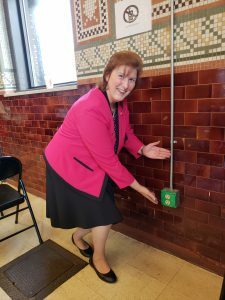 The battery storage is key to making this building function when power is down. 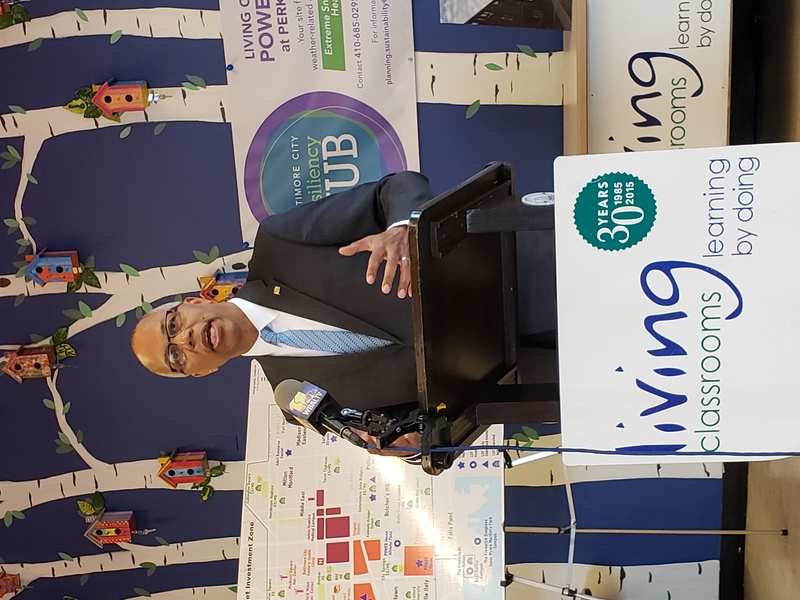 Maryland is the first state in the country to offer a tax credit to businesses and residents who install an energy storage system. “Today is an example of what we can do to protect citizens impacted by power outage emergencies,” said Lt. Governor Boyd K Rutherford. 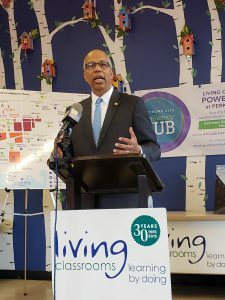 Expanding emergency relief options for residents impacted by a power grid outage is a paramount health and safety issue. 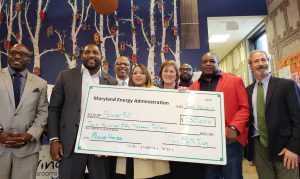 The State of Maryland has a dedicated network of agency offices who partner with utility companies and local organizations to address public needs. Now is hurricane season and preparing for power failures caused by severe weather is critical. Power 52 Foundation Co-Founder Ray Lewis (far right) stands with neighborhood residents and aspiring solar installers outside of POWER House. Living Classrooms and Power52 created a workforce development partnership which allows graduates an opportunity to be included in the installation of the solar panels and battery storage. 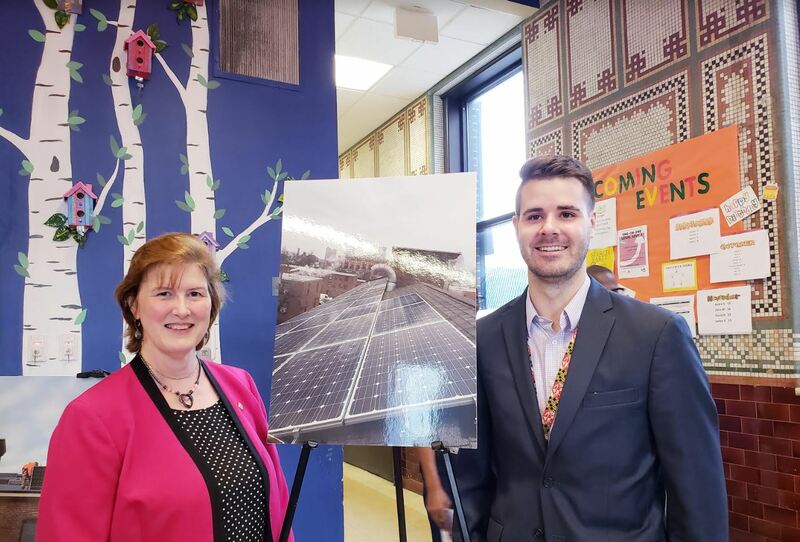 Living Classrooms combined its experience providing workforce training and case management with Power52 Foundation’s solar development experience, accreditation (s)/credentials, and access to a robust energy industry network to provide residents with solar installation training. 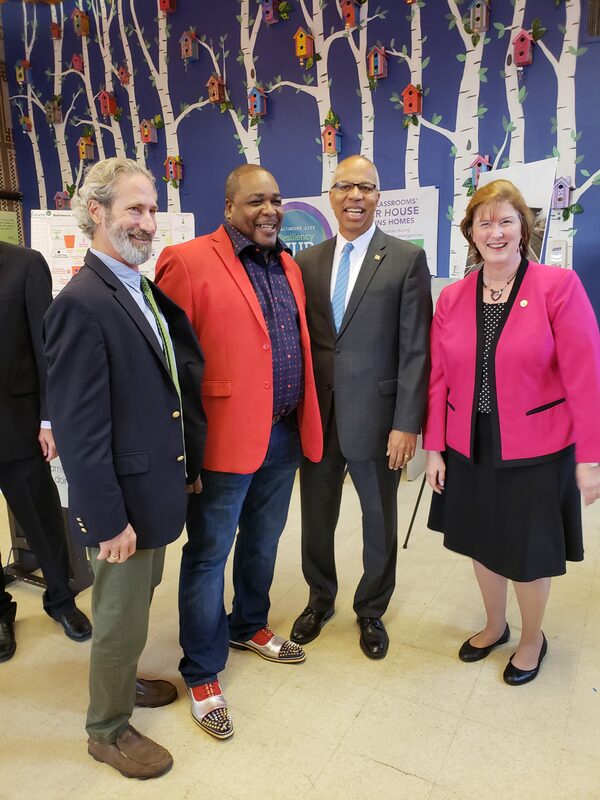 Funders include ISC and the State of Maryland’s EARN Maryland Grant Program, administered by the Maryland Department of Labor Licensing and Regulation. To date, 52 individuals have graduated from the Power52 Energy Institute Baltimore City’s 11-week Energy Professional training program, the first Clean Energy Private Career School accredited by the Maryland Higher Education Commission. Living Classrooms career coaches provide work readiness workshops and assist individuals with removing any barriers that could potentially affect their graduating from the training program and securing employment. The energy storage facility at POWER House has a 72 hour range, enabling the center to maintain critical systems like lights, refrigeration, HVAC and power in the event of a power grid failure. 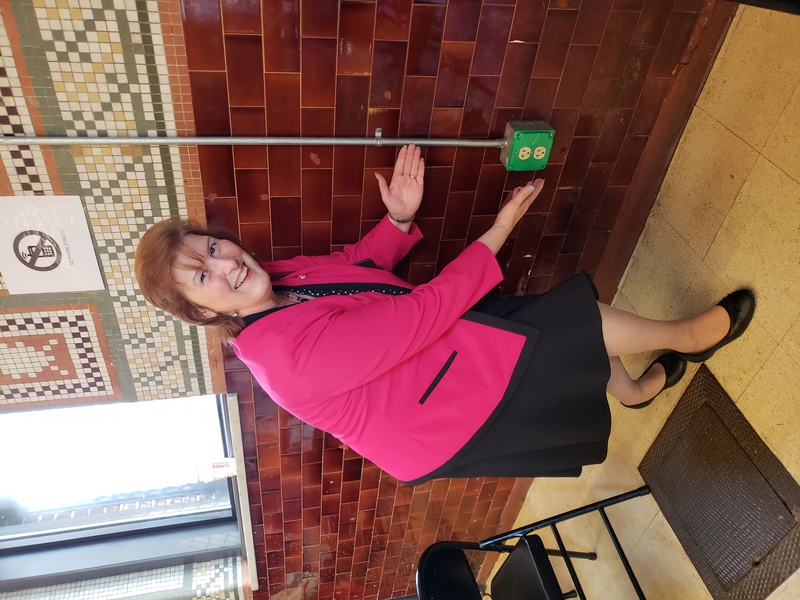 Specific outlets in POWER House are painted green, so residents know they can still use these outlets to charge their cell phones or run medical devices. 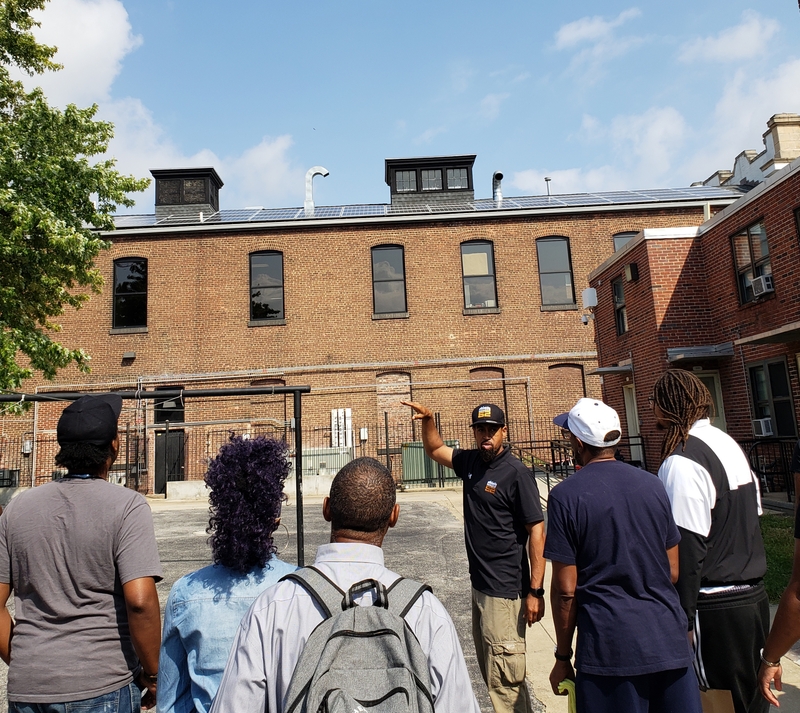 POWER House has already undergone a successful field test of the resiliency hub on July 24th of this year when there was a multiple city block power outage cause by extreme high heat. 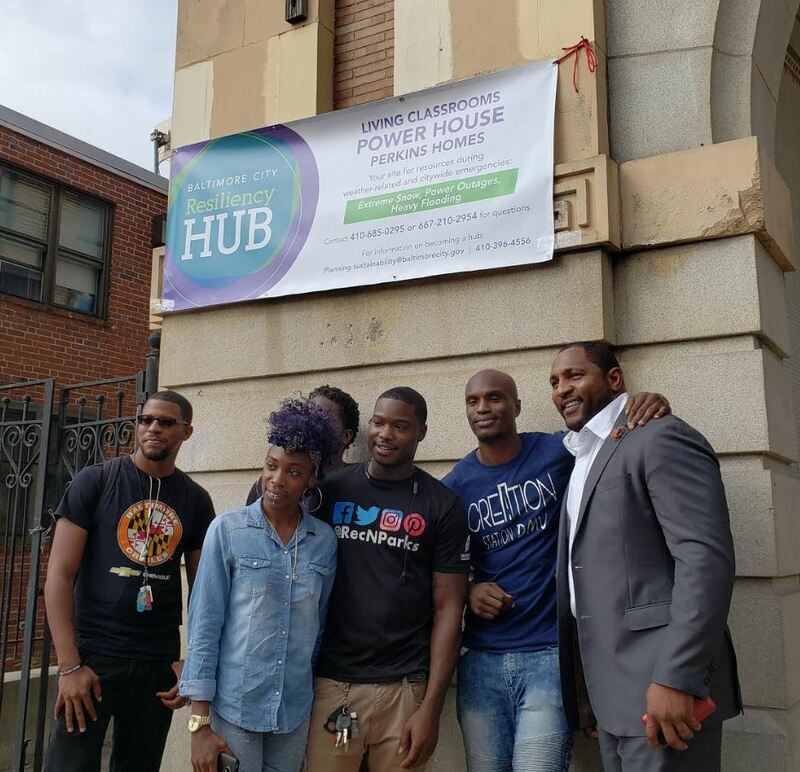 “POWER House was the only building with lights on and we made the best of it, getting elderly citizens inside and grilling food for everyone outside, it turned into a huge neighborhood cookout,” explained POWER House Director, Colin Jones.